The numbers of people diagnosed with dementia is increasing and the costs associated with the disease continue to rise. 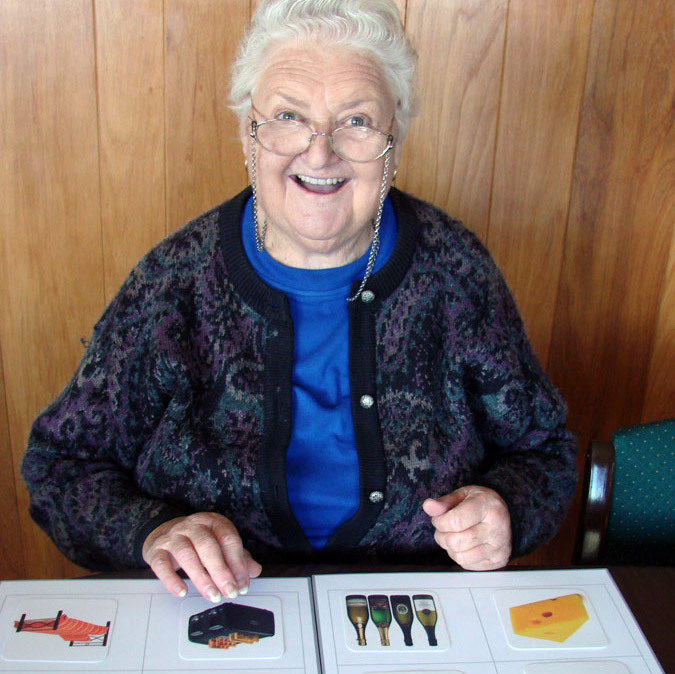 Every person has the right to be supported to live life to the fullest, to continue to make choices, to enjoy meaningful activity and to feel worthwhile and needed.This is the primary reason we need to create Montessori Environments for older Australians. Dementia has often been referred to as the long good-bye. Along with the diagnosis comes a variety of challenges which are closely connected to the devastating effects of memory loss, including disorientation to time, place and person. As time passes, the cognitive decline associated with dementia becomes more and more apparent. Providers of care often report a wide variety of behavioural concerns, which adds various types and levels of stress to their lives. Researchers have found that 50 – 90% of persons with moderate to severe symptoms of dementia present clinically significant behavioural concerns, such as repetitive questioning, wandering, agitation, physical aggression and constant unwarranted requests for attention or help (Gitlan, et al, 2010; Allen-Burge, et al, 1999; Burgio, 1997; Davis, et al., 1997; Rosen et al., 1994). The world can be incredibly challenging for individuals with dementia, creating an inability to orient self to time, place and person. Moreover, it can be sterile and boring. People of all ages need stimulating, appropriate activities in their lives. For many people in aged care, the day is spent waiting for something to happen. What roles, routines and activities are found in their daily schedule? What contributions are they making to the world? There is no question that few people (including family and paid providers of care) create a full 9:00am to 9:00pm programme for someone with dementia. Therefore, many people with dementia sit idly for too many hours of the day. In their world of boredom and loneliness they are often seen reaching out, in an attempt to pull someone close, or they try to leave, often because they are remembering times when they had a place where they were needed and had something meaningful to do. For those diagnosed with dementia the toll is huge. Whilst drugs can slow the progression of the diseases that have cause the cognitive impairment, they do not provide meaningful activities that engage people in life. Dementia also impacts on everyone connected to the person diagnosed, including family, friends and formal providers of care and support. 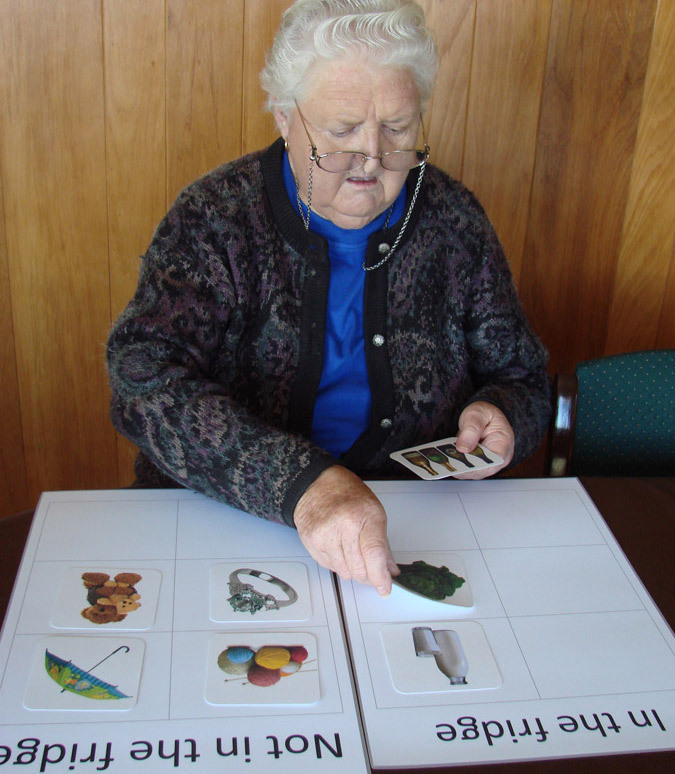 Involving people with dementia in purposeful life-affirming activities addresses the challenging behavioural issues that are often associated with the disease. Appropriate, evidence-based interventions are needed now to help individuals with dementia end this last chapter of life with meaning, dignity and respect (Gitlin, 2010). to have the chance to make meaningful contributions to their community. Her philosophy and mission are a perfect fit with dementia care and has led to further research from many diverse disciplines on the development, implementation and outcomes of the results of Montessori Environments in the provision of care for people with dementia. Her vision was to develop the minds of young children with the purpose of building independence, self-esteem and a promising future. Imagine the human potential, in the world of dementia, where persons who are challenged by memory loss are supported in a way that affords them the opportunity to become independent, to enjoy high self-esteem, and to look forward to today and tomorrow. high self-esteem a more promising future. 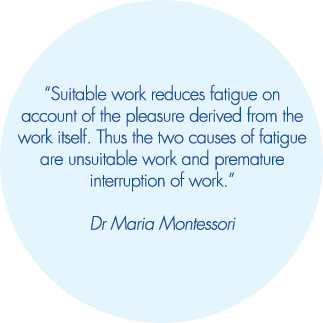 The creation of Montessori Environments provides the framework for realising this vision.